i have previously recorded game play video on the Go and could view it on my PC no probs. All of sudden, it appears that one can no longer view video on the PC that has been recorded on the Go. It says something along the lines of Codec not recognised. What gives? 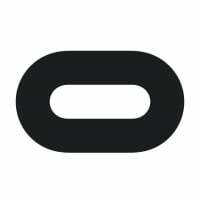 Same issue here, video recordings (in VideoShots) can be played on the Oculus Go itself, but when copied to PC or Mac the file can't be played. How can this be fixed? Not sure what changed on that, what is the extension? .mp4, .AVI.... if you changed something as far as compression of the file that may have done it. Possibly there was an update that changed it to a different format to conserve room. It seems unlikely it is a problem. Possible that message could be because of corrupt or incomplete data, but I highly doubt it. Compression codec make it possible to reduce the size of the file and still keep it original quality. Kind of like being zipped. The normal "support" recommended to load the battery (ha ha ha), connect to wifi (ha ha ha) and some other senseless options. And yes: I tried a factory reset (which includes getting logged out) and... it doesn't helped. After this it's even not possible to start a record during an app. After selecting video capture in pause menu it resumes to the app, but not record dot appears and not file is written. When I start the record in the menu (without open app) the record starts and I can start an app, but again, the file can not be played back on Desktop. So please @oculus... try your new video capture feature and fix the bugs. Or Do I (and other developers) have to update the sdk in the app to get it working again? the support wrote me some minutes ago: "...Our engineering team is aware of this issue and is working on a fix. Once there is progress, we will be sure to let our developer community know." I tried your workaround a few times... one of 10 tries I had luck, but this takes too much time for me. Currently we're not able to work in the same pipeline we're used to: sending small videos from the progress our app. This is very annoying, especially after an update, which should make things better. And this happens again again. No matter if the updates come from microsoft, adobe or oculus... there seem no big company in the world, which test's their updates with real scenarios before roll out. If they would, such issues won't happen. The app performance is better. But the still the video capture seem broken. First try was sucessful, but the second again could not be played back on a windows machine. No thumbnail. I'm experiencing this same problem. Have tried the wifi workaround but didn't work for me. Thanks for your response, I have opened a ticket. thank you @fariazz. Your post was more helpful than the @OculusSupport (standard ticket and dev ticket) the last month. This workaround helped me too... and not turning off wifi and restart device (see above). I'm glad this helped! Just to make it clear, customer support suggested using `adb pull` to me, it wasn't my idea (the command they sent me had a path that didn't work but yeah it wasn't hard to figure it out once they suggested this approach).